Sri Lanka celebrates its Independence Day on February 4. It is the country's national holiday celebrated with much pomp and ceremony. The colonial history of Sri Lanka began in the 16th century when the island of Ceylon (present-day Sri Lanka) was invaded by the Portuguese. In the 17th century, the Dutch got rid of the Portuguese settlers. After the Napoleonic War, the island became a British colony. In the early 20th century, the development of the Sri Lankan independence movement began. It was a peaceful movement led primarily by the educated middle class. Despite the peaceful nature of the independence movement, riots also took place, for example, the 1915 Ceylonese Riots that were brutally suppressed by the colonial authorities. On February 4, 1948 British Ceylon was finally granted internal political independence and became a dominion in the Commonwealth of Nations. The anniversary of this event is now celebrated as Sri Lanka's Independence Day. 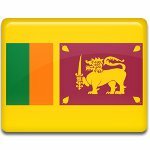 Independence Day celebrations in Sri Lanka include a flag-raising ceremony and President's speech as well as parades, ceremonies, singing, and dancing that showcase the country’s culture and national unity. In many places of worship across Sri Lanka, special religious ceremonies are held. People pray for prosperity and peace.